Our Fiesta looks much better (and should be much faster) with its new coilovers. 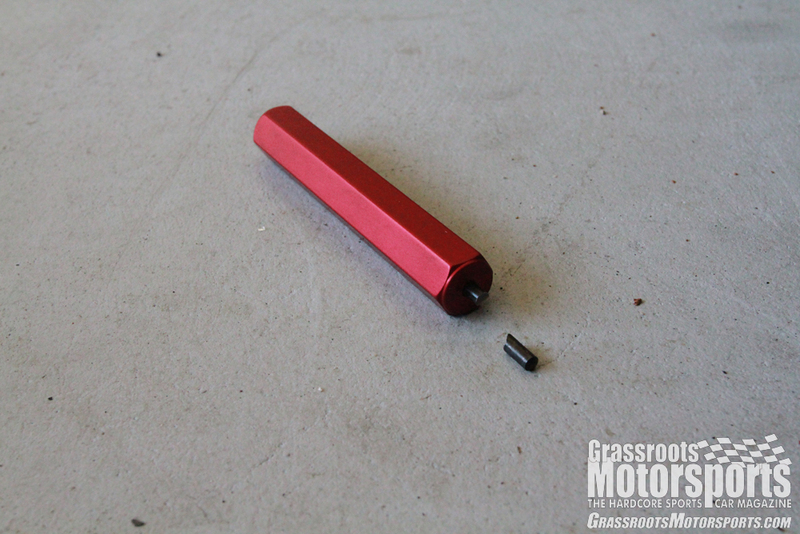 The front struts are only held in with a few easy-to-reach nuts and bolts. The new coilovers compared to the stock suspension. 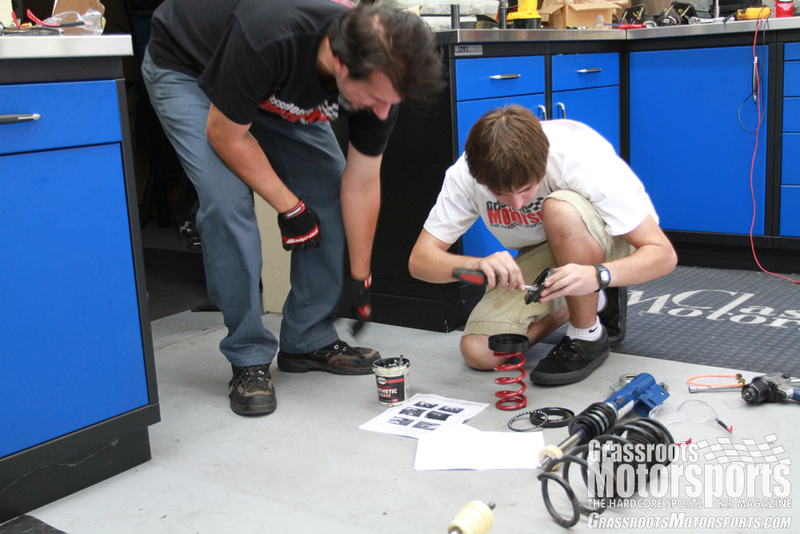 The coilovers use the top half of the stock strut bearing, as well as its bottom race and top hat. 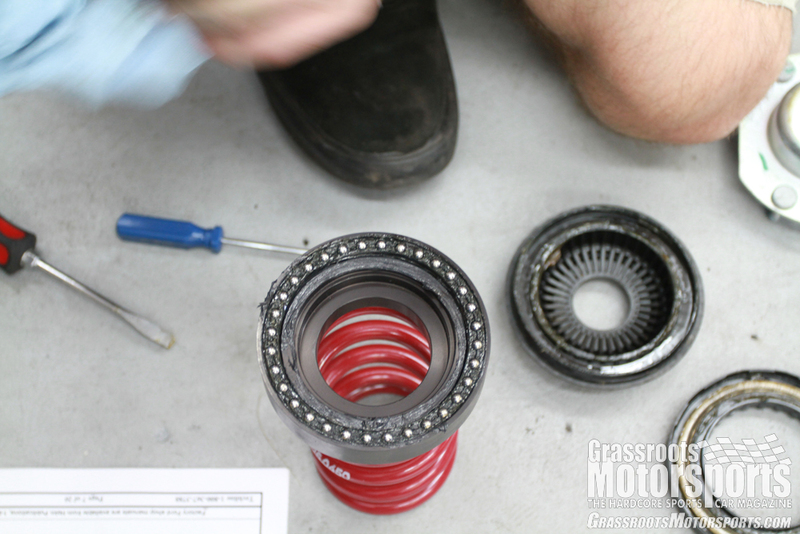 Here you can see most of the bearing installed on the new coilover. 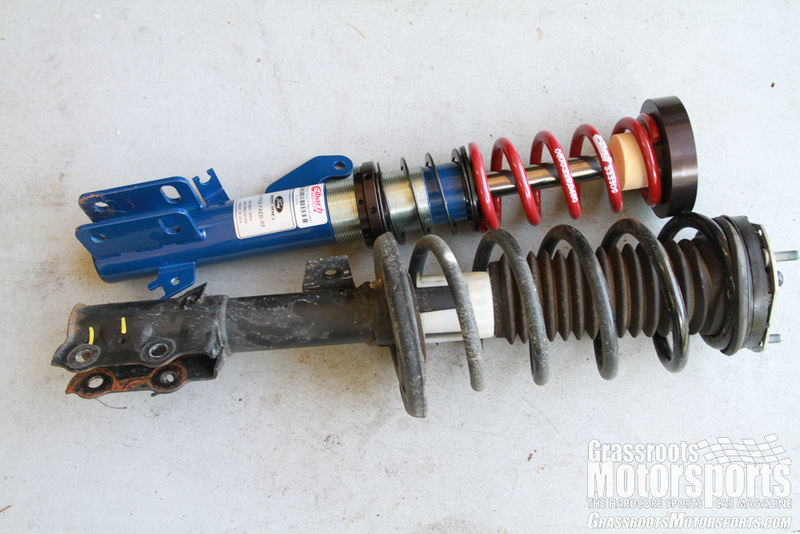 The new coilovers do away with the factory divorced shock and spring. One of the rear coilovers installed. We lowered the coilovers to their limit at first, mainly to see how low the car would go. The answer: very! 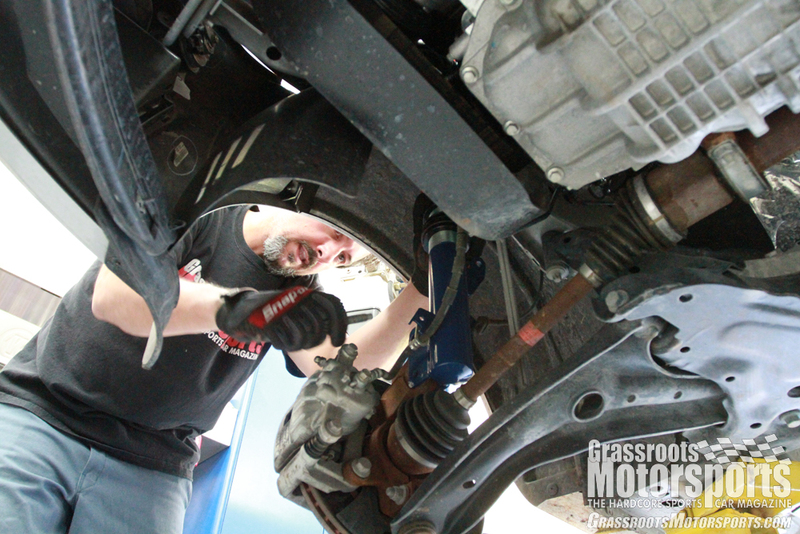 When we went to raise the car, we managed to break one of the adjustment tools. We substituted an old punch. A loud noise from both front struts when turning led us to believe the strut bearings weren't functioning as strut bearings. We pulled the front struts out of the car and machined more clearance for each top hat into the new lower halves of the strut bearings. This fixed our problem. While the stock suspension copes well with speed bumps and rough roads, it is just too squishy for any real track work. Until this point, our 2012 Ford Fiesta has been sitting on stock springs and dampers, which aren’t exactly performance oriented. While the stock suspension copes well with speed bumps and rough roads, it is just too squishy for any real track work. 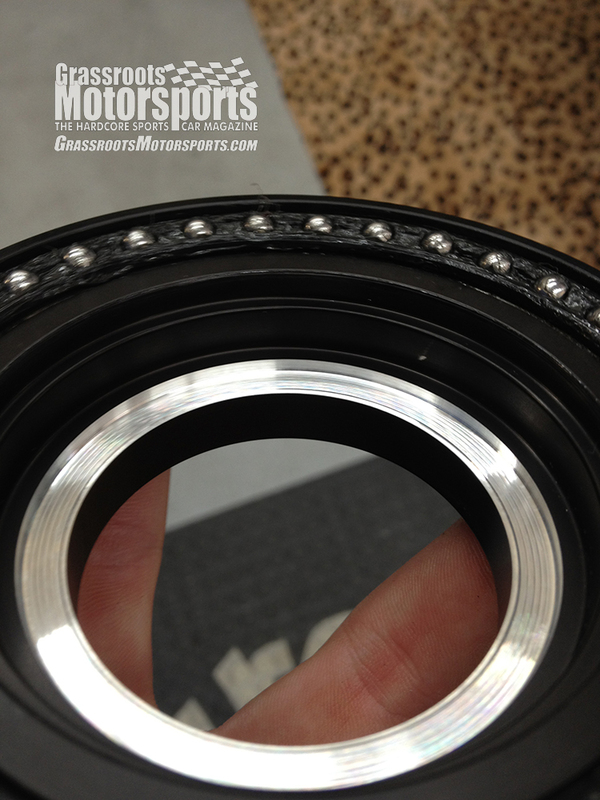 Our last modification, sticky tires, only exacerbated the problem. 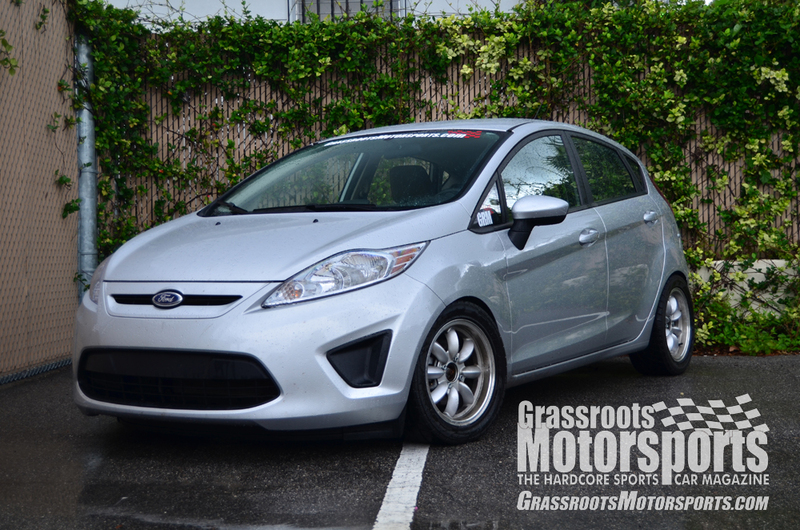 With sticky tires and a soft suspension, the Fiesta was unpredictable, and had a ridiculous amount of body-roll. 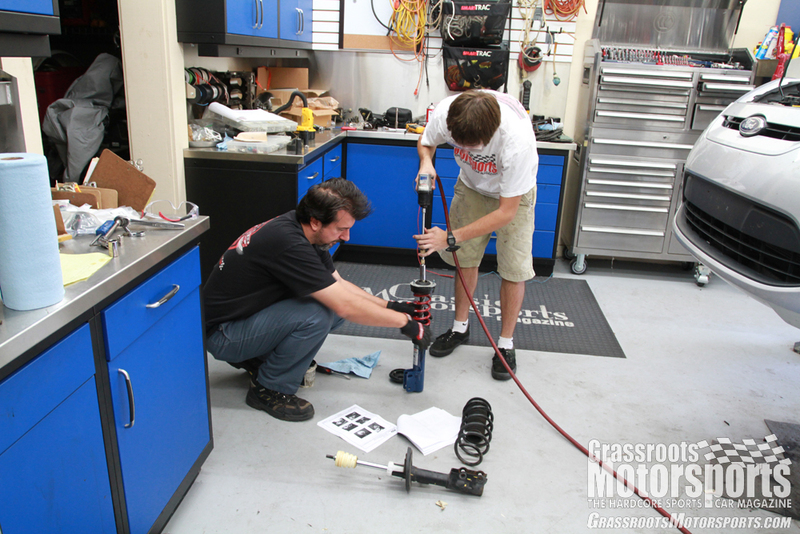 We replaced the stock springs and shocks with Ford Racing’s B-Spec suspension kit, which includes four adjustable coil-overs and a full set of instructions for installation. 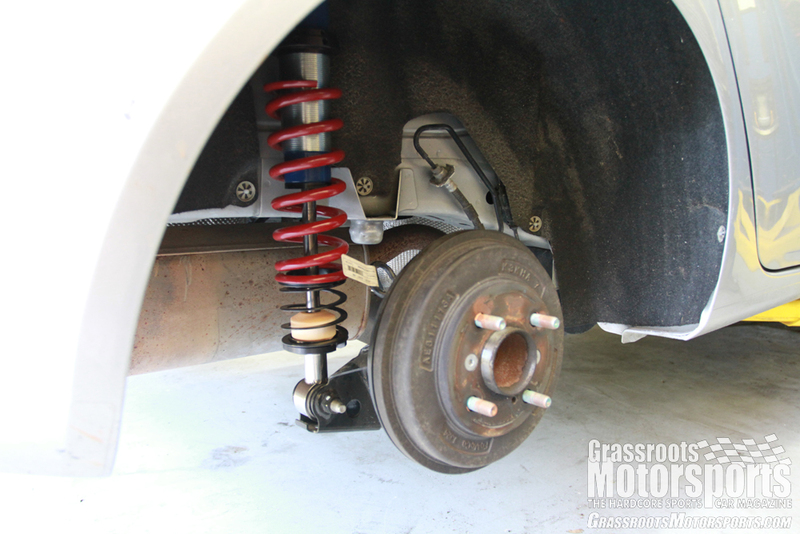 The new coil-overs have much stiffer springs and dampers, which should make our Fiesta handle better. 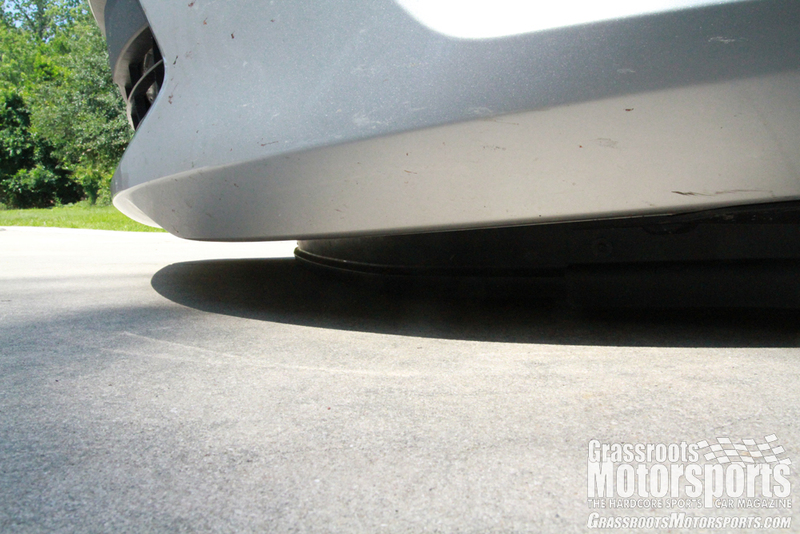 They also allow us to easily adjust the car’s ride height. Installation only took a few hours, and the car is certainly much stiffer as a result. Will this pay off in the form of faster lap times? We’ll find out at our next test day.